Flights to and from Belgium tomorrow have been cancelled due to a national strike which threatens to bring the country to a standstill. With "no certainty" on how many air traffic controllers would be taking part in the strike, Belgium's Skeyes air traffic control agency said it was "forced to prohibit" national air traffic between 10pm tonight (9pm Irish time) until the same time the following Wednesday, a statement said. No aircraft flying below 8,000 metres altitude - the area controlled by Skeyes - will be allowed to fly over the country, Dominique Dehaene, the company's spokesman said. A general strike called by three unions, which are seeking higher wages, is expected to paralyse Belgium tomorrow. Charleroi airport, the second largest in Belgium and a local hub for Ryanair, had already announced its closure. Belgium's Brussels Airlines has cancelled all of its 222 flights. Aer Lingus has said it has cancelled flights between Dublin and Brussels tomorrow. 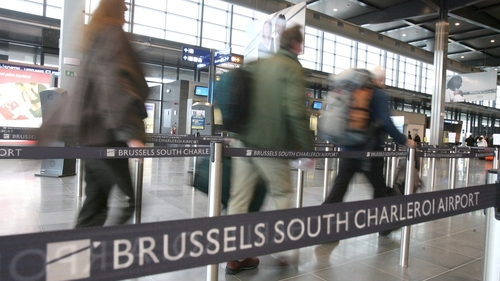 In a statement, the airline said: "Regrettably we have been forced to cancel four services operating the Dublin-Brussels route tomorrow, Wednesday 13 February, as a result of a national strike in Belgium. "Guests whose travel plans are affected have been notified via SMS/email and can rebook free of charge on the next available flight or opt for a refund. "To minimise disruption we are operating additional capacity on Thursday 14 February." The German carrier TUI fly Deutschland will operate its scheduled Belgian flights from the nearest French and Dutch airports. "We have no indication of any impact of the strike on the meeting," a NATO official said.